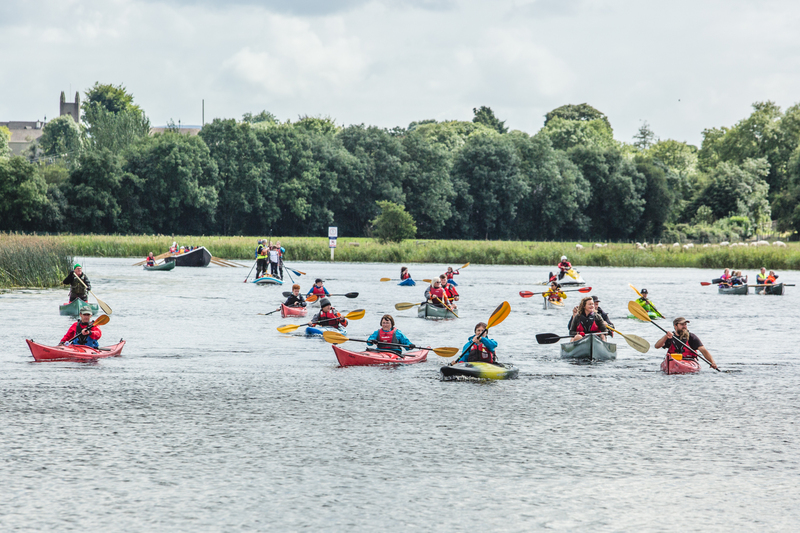 A celebration of the wide range of waterposts available in Northern Ireland took place on Saturday 29th July with an impressive Flotilla of 66 people sailing, paddling and rowing Upper Lough Erne. 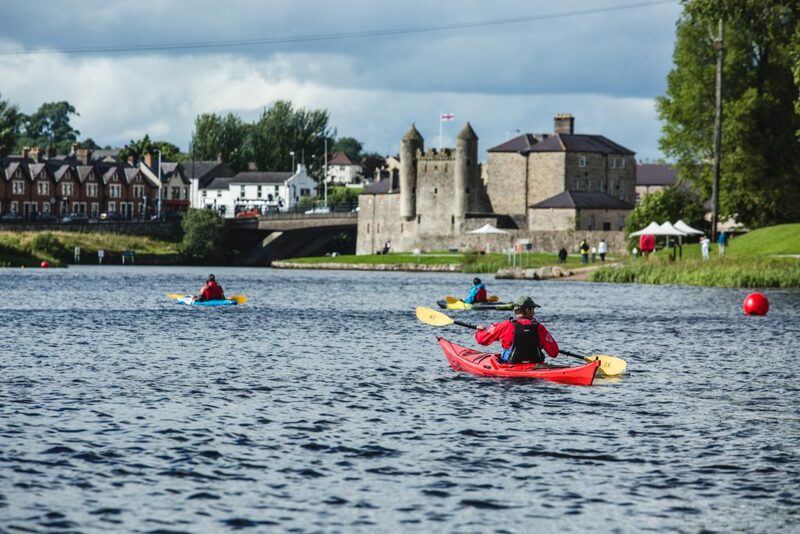 An array of boats including kayaks, canoes, skiffs, rowing boats, a Curragh and giant Stand Up Paddle Board travelled from Ballenaleck to Enniskillen as part of a wider initiative taking place over the weekend across Europe to promote sport and physical activity. Part of the Get Wet NI initiative funded by SportNI and Waterways Ireland to encourage more people to enjoy our waterways and find their watersports passion, a range of watersports clubs from across the country formed the spectacle. Waterways Ireland, another funder of the campaign was delighted to witness so many users enjoying Lough Erne. Sharon Lavin from the organisation explained, “Lough Erne is one of our great natural resources and it’s not hard to see why this peaceful waterway with spectacular scenery is best enjoyed from the water. The lough provided the perfect setting for the Flotilla which we hope will inspire more people to get out and enjoy the fantastic waterways we have on our doorstep”. Launched in May and continuing until the end of August, Get Wet NI, with support from a range of water based National Governing Bodies, encourages people to try out a watersport with a view to joining their local watersports club. To mark the start of the campaign, local clubs welcomed members of the public to come and have a go for free or at a reduced cost at 39 taster events in May. Members of the public had the opportunity to try up to 8 different watersports from rowing and canoeing to water skiing, sailing and diving. These have been followed by a series of training and beginner sessions currently happening throughout the summer for those interested in continuing in their chosen sport or indeed looking for an opportunity to give it a go for the first time. 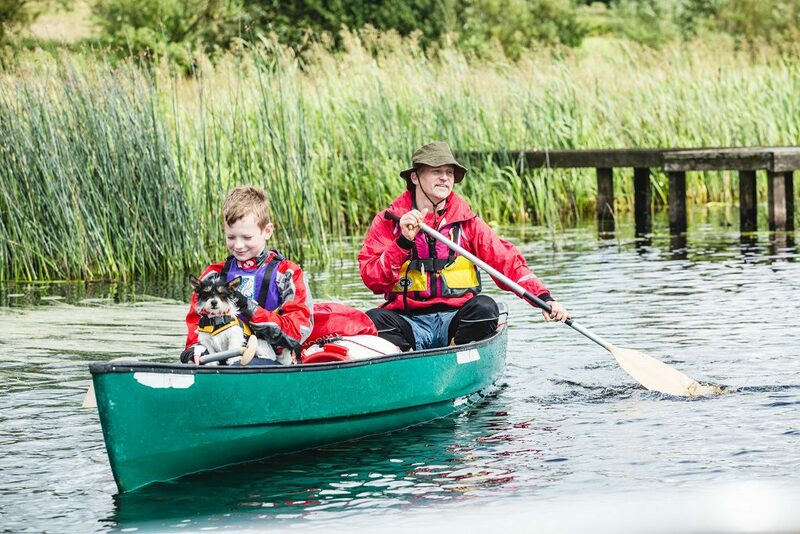 To find out how you can get involved with a watersports club in your local area and see a full list of events that are being offered visit www.GetWetNI.com and find your next adventure!